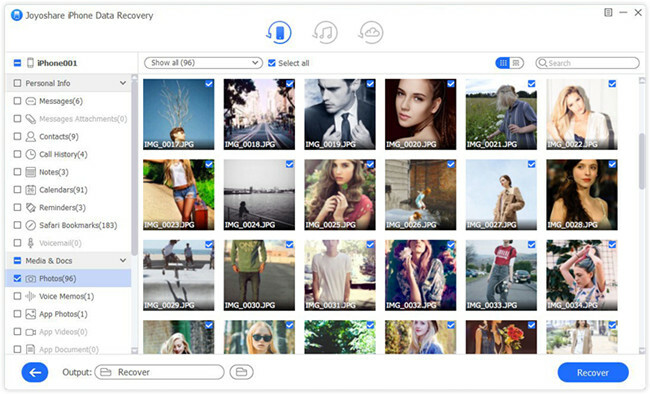 How Can I Recover Lost Photos or Videos from My iPhone 6? Solved! iPhone data loss always happens in our daily life. You may delete your important files by accident; or your son is playing the phone, and when it comes back to your hand, you find that the WeChat app is gone; or some vital notes are missing after updating to the latest iOS 12 due to an error, etc. If you also encounter an issue like Herb, you’re in the right place. This article will give you 4 actionable solutions to recover lost photos/videos from iPhone 6/6s (Plus) easily. If your iPhone is running iOS 8 or above, and your photos or videos are lost due to accident deletion, you can use this easy and practical method. 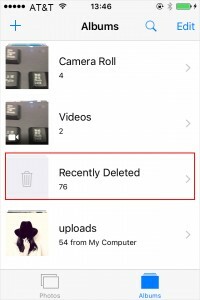 Apple offers a feature of "Recently Deleted" folder in the Photos app, where your deleted photos and videos will be retained for 30 days. As long as you haven't empty this folder, you have rights to bring them back without any hassle. 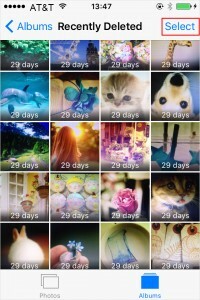 After opening your iPhone, just go for the "Photos" > "Albums" > "Recently Deleted". Here you will see all the photos and videos deleted within 30 days. 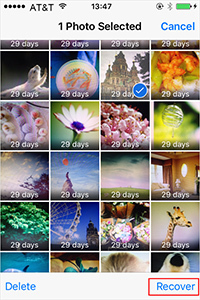 Now tap the "Select" button on the top right corner and select all the deleted photos and videos you'd like to restore. Next tap the "Recover" button on the lower right corner to restore all selected photos and videos quickly. If you don't want to spend time in selecting, you can simply press the "Recover All" icon to undelete all photos or videos in one click. If your iPhone 6/6s photos and videos are not lost because of mistaken deletion, the first method is of no use. Fortunately, this trustworthy Joyoshare iPhone Data Recovery is a good assistant to help you recover missing photos or videos lost due to every possible scenario such as failed iOS upgrade, system crash, stuck iPhone, forgotten passcode, factory reset, etc. 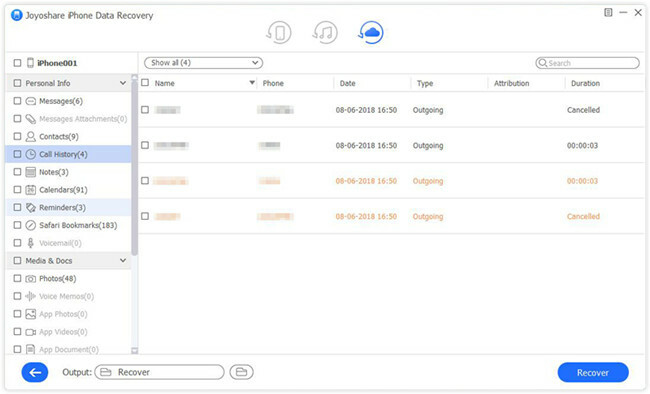 Not only just videos and photos, Joyoshare iPhone Data Recovery is also help recover deleted or lost iPhone contacts, call history, notes, voice memos, reminders, WhatsApp/Kik/Viber chat history, messages, Safari bookmarks, calendars, voicemail, and many more. It also offers possibility to preview the data and recover them selectively. 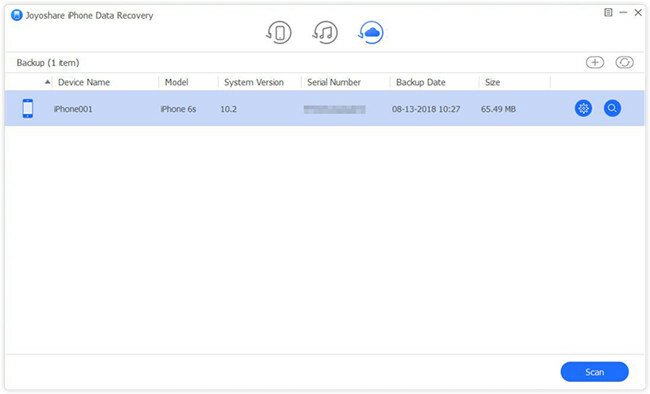 The following is the step-by-step guide on how to recover lost photos/videos from iPhone 6s (Plus)/6 without backup under the help of Joyoshare iPhone Data Recovery. First of all, use an original USB cable to connect your iPhone to the PC or Mac. 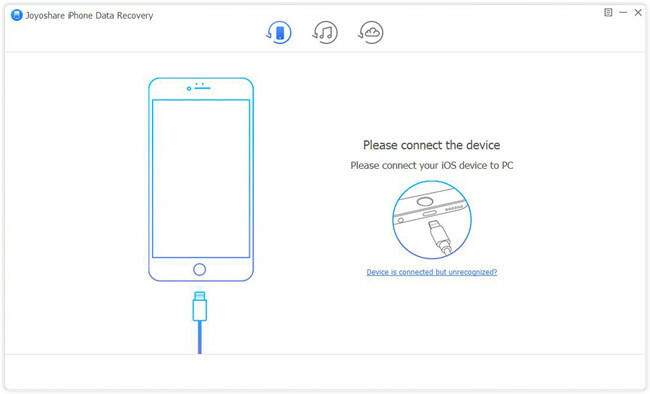 Launch Joyoshare iPhone Data Recovery on your desktop, and it will start to recognize your device. 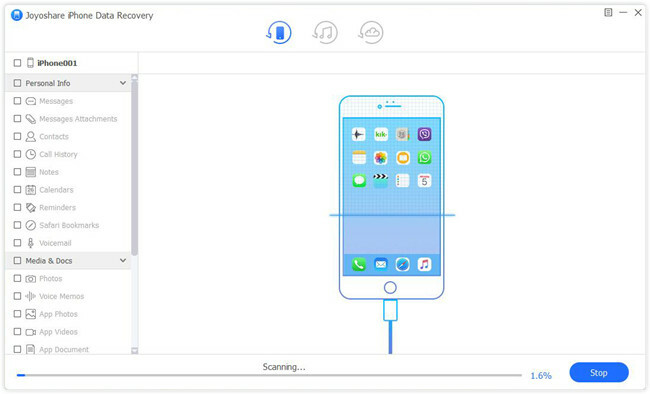 When Joyoshare detected iPhone successfully, you'll enter the "Recover from iDevice" mode directly. Here you can see the basic info about your device, as well as the data types you'd like to recover. Usually all recoverable data are ticked by default, and you can also tick some of them only such as "Photos", "App Photos", etc. Then click the "Scan" button to start to scan the lost iPhone files. Wait a while until the scanning is accomplished. Then all recoverable iPhone data will be displayed in categories on the left sidebar. Your lost photos and videos may be included in the "Photos", "App Photos", "App Videos", WhatsApp/Viber/Kik Attachments, etc. Just go to preview them one by one, and then export and save them to the local folder of the computer by clicking the "Recover" button. If you have synced your iPhone data via iTunes regularly, and the backup happens to contain the lost photos and videos you lost, you can get them back by restoring iTunes backup, and here is the guide from Apple support: Restore your device from an iTunes backup. By restoring iTunes backup, your current data on the device will be replaced by it. So in order to avoid data loss again, you can back up your data before using this method. 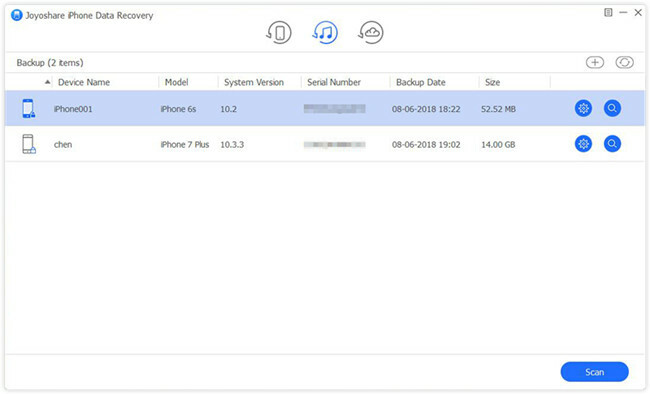 The other option is to use Joyoshare iPhone Data Recovery to reinstate lost iPhone photos and videos from iTunes backup, which gives you a chance to preview and select to recover data, without overwriting the existing data on the phone. The recovery process is very easy. Run Joyoshare app and choose the second recovery mode on the top menu - "Recover from iTunes". All your iTunes backup files will be listed here orderly. Choose the most relevant iTunes backup and then click the blue Gear icon . Select the required data types you want from the popup window, or just tick all as default. 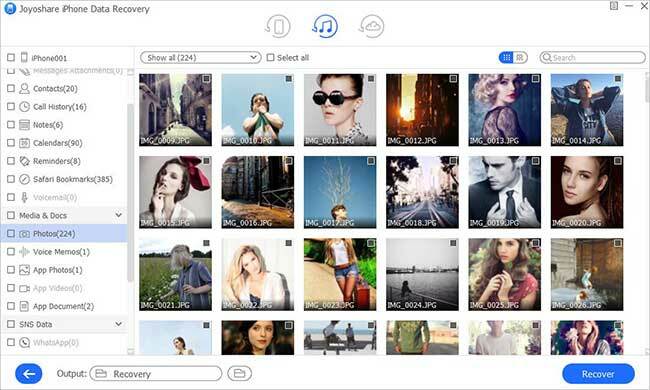 Afterwards, click the "Scan" button to ask Joyoshare to analyze and scan the lost photos and videos for you. The scanning time depends on the size of your data. Once it's done, you can find lost data from the left column in categories or search the specific ones by entering a keyword on the search box on the top right corner. Then preview them and pick the important ones. After that, click the "Recover" button at the bottom to restore them to your computer. Similarly, if you have iCloud backup for your iPhone, you also have two options to get lost photos or videos back. The first one is to erase all settings and content of your device, and then restore an iCloud backup that possesses the lost photos and videos you need. Read this instruction to know how to how to do it: Restore your device from an iCloud backup. Or, you can recover missing iPhone 6/6s videos and photos from iCloud backup in Joyoshare iPhone Data Recovery, which is 100% secure and never overwrite the existing data on your iPhone. Now let's see how to recover them via iCloud backup with Joyoshare. 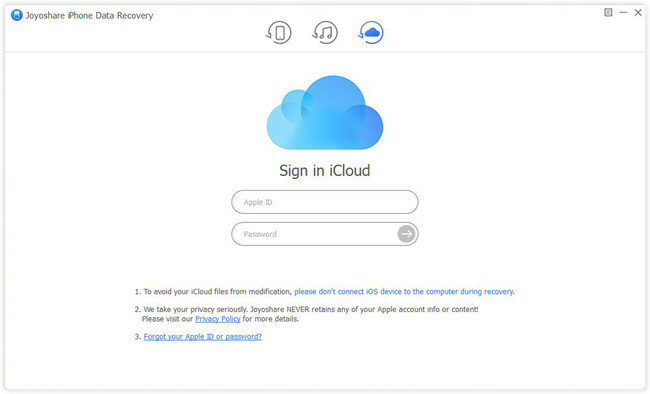 Launch Joyoshare program first and then move to the "Recover from iCloud" mode on the top. Sign in your iCloud account with right username and password. Please be assured that Joyoshare will never retain any of your private info and content. All the iCloud backup files will be shown once you sign in iCloud successfully. Pick the one that you think the lost data is there, and click the "Download" button. 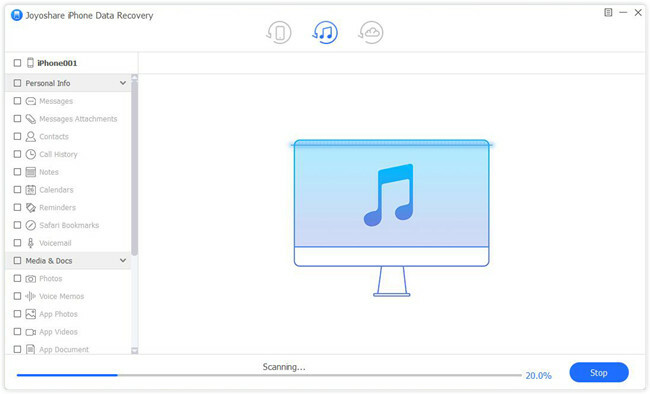 After the downloading is finished, choose the data types you need and press the "Scan" button to analyze the data. Now it's your time to preview and check the lost pictures and videos once the scanning ends. Pay more attention to the categories of "Photo", "App Photos", "App Videos", "WhatsApp Attachments", etc when you seek for lost files. Then hit the "Recover" button to save all selected items to your computer.